ShaderFX includes a new, physically based shading material so artists can make more realistic and higher-quality materials. Artists can create high-quality materials within Maya LT, making it easier to achieve the desired result and more closely match the look in-game. 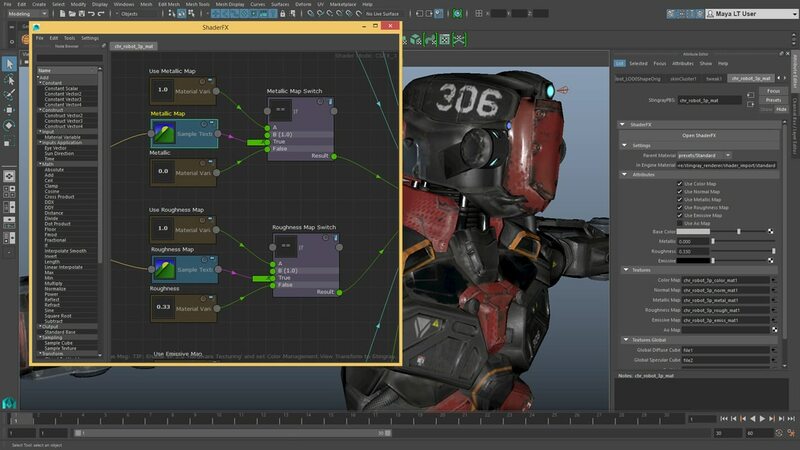 Artist can create high-quality materials within Maya LT, making it easier to achieve the desired result and more closely match the look in-game. Physically-based ShaderFX materials can be transferred to the Stingray game engine so materials don’t have to be created twice.